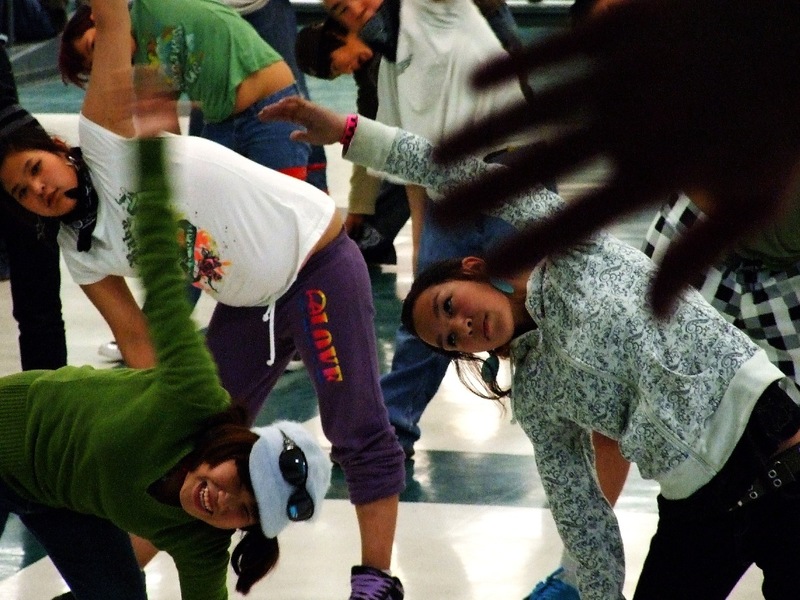 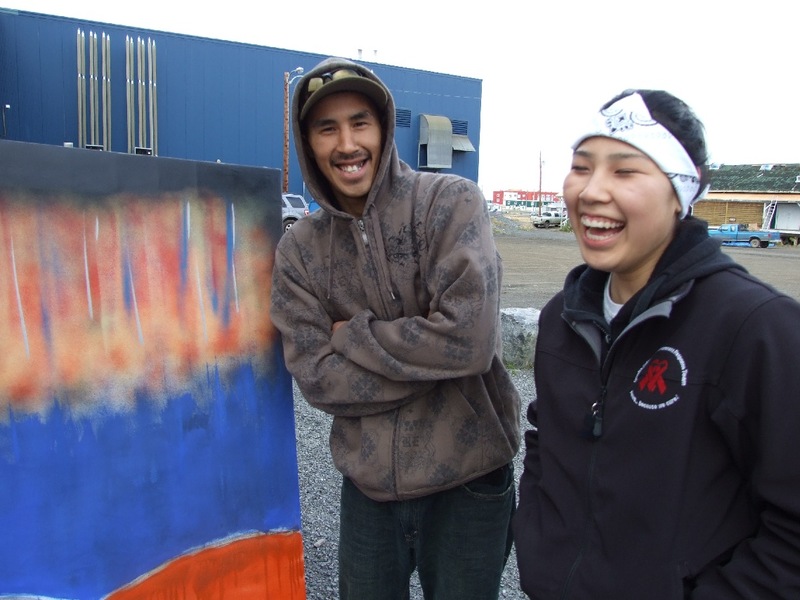 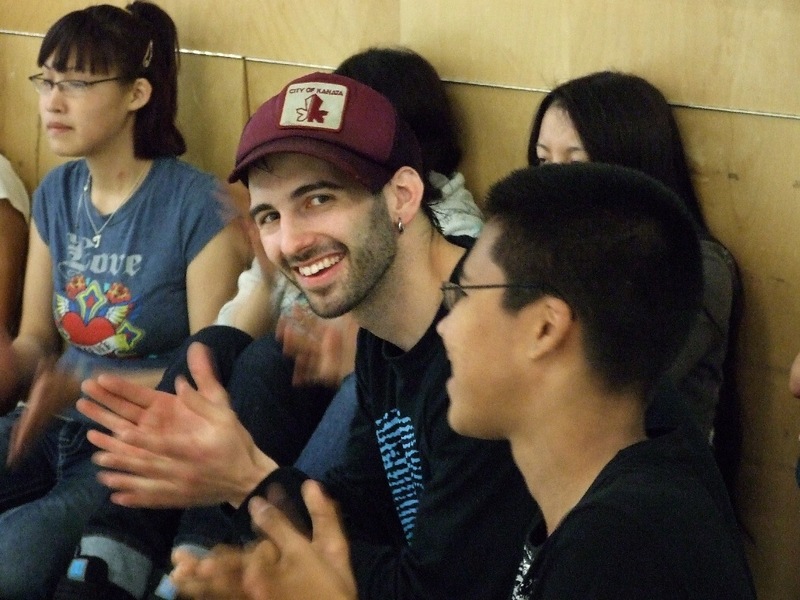 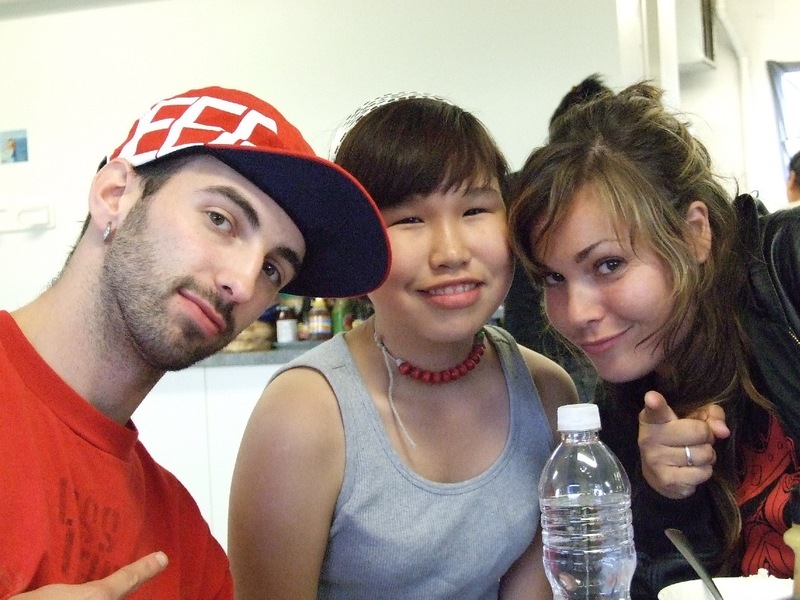 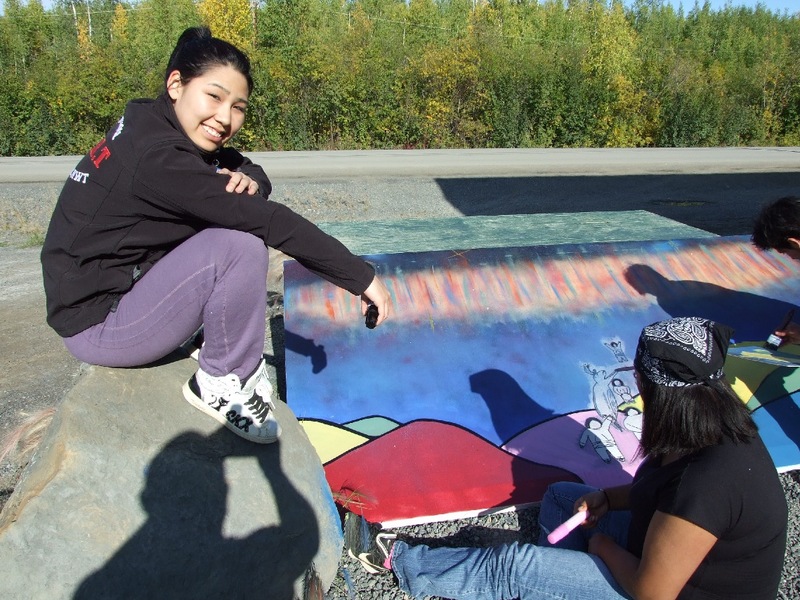 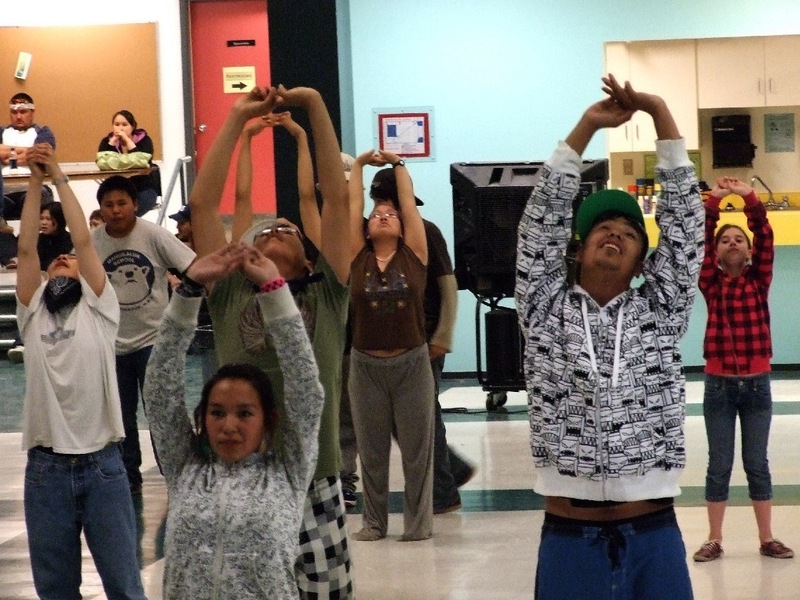 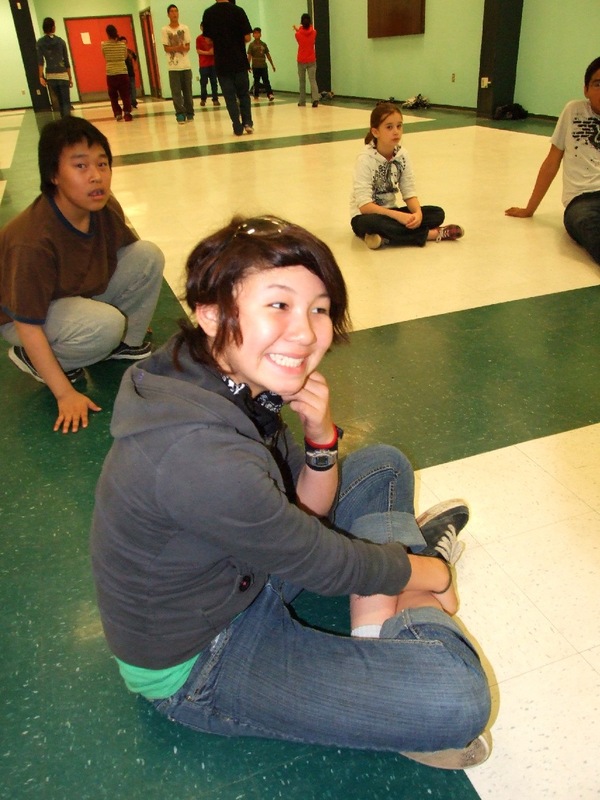 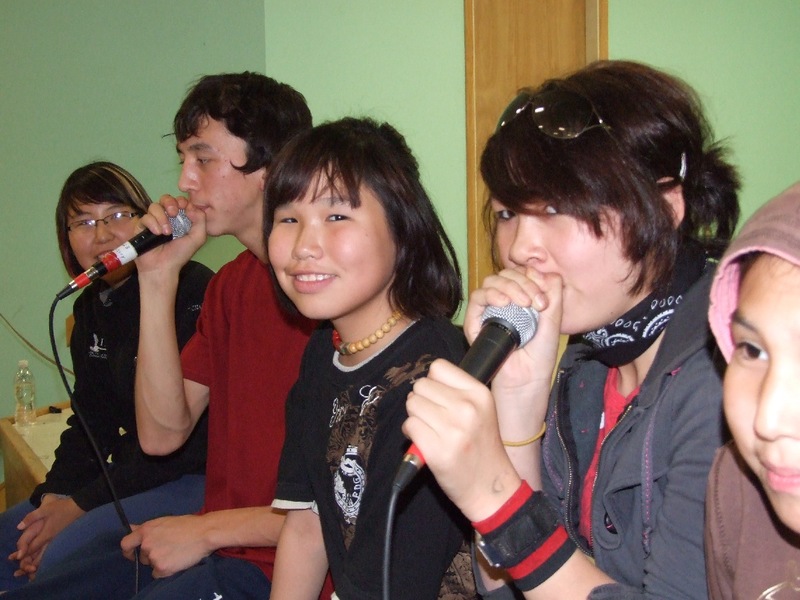 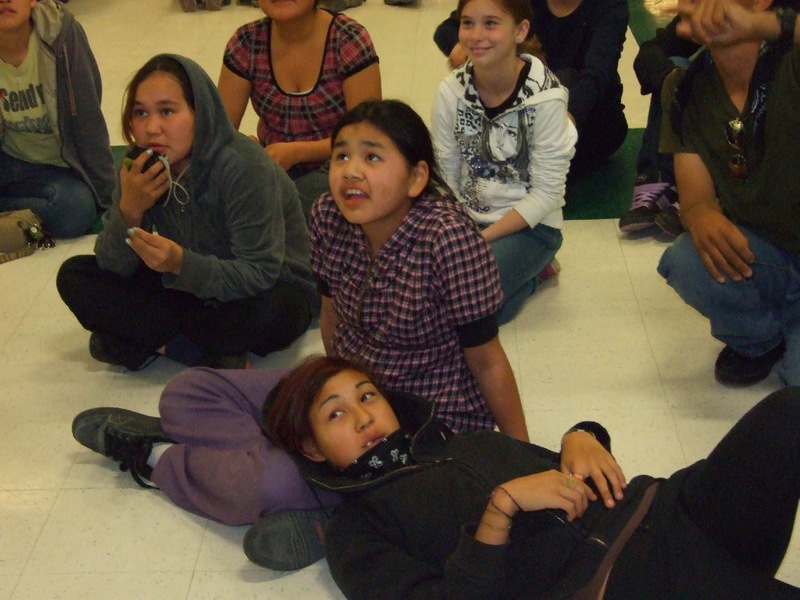 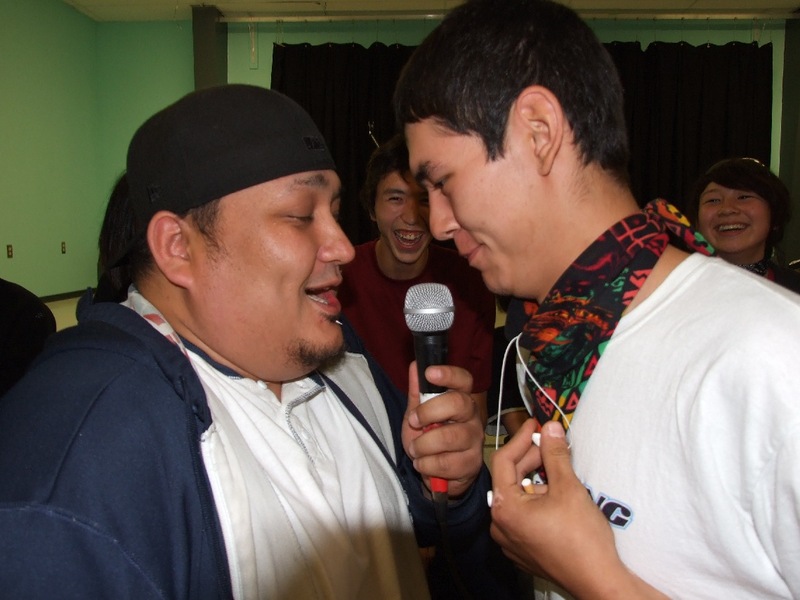 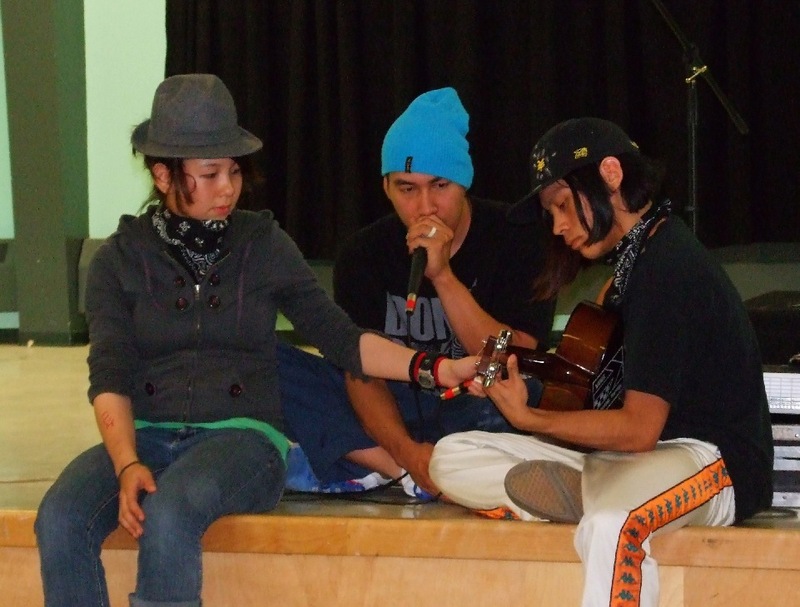 This was a unique program as we worked with youth from 5 communities that were all brought to Inuvik and all stayed together at a mining camp just outside of town. 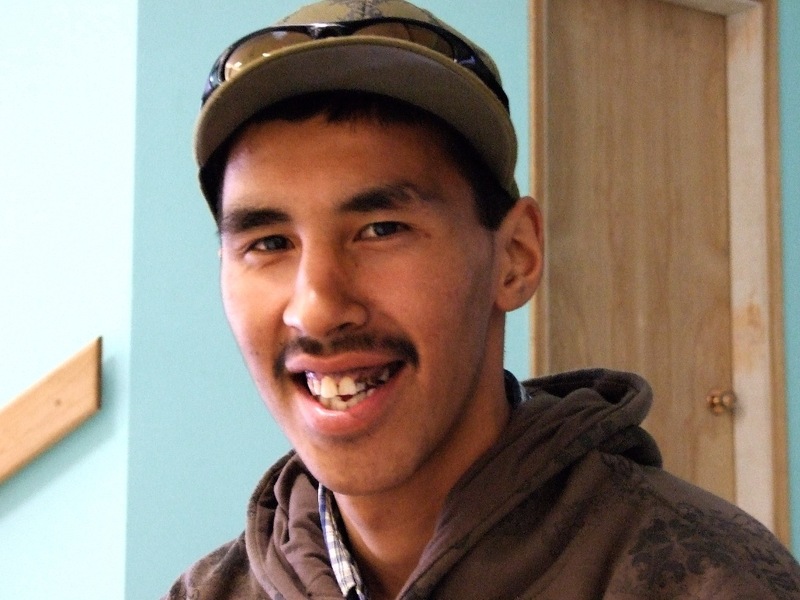 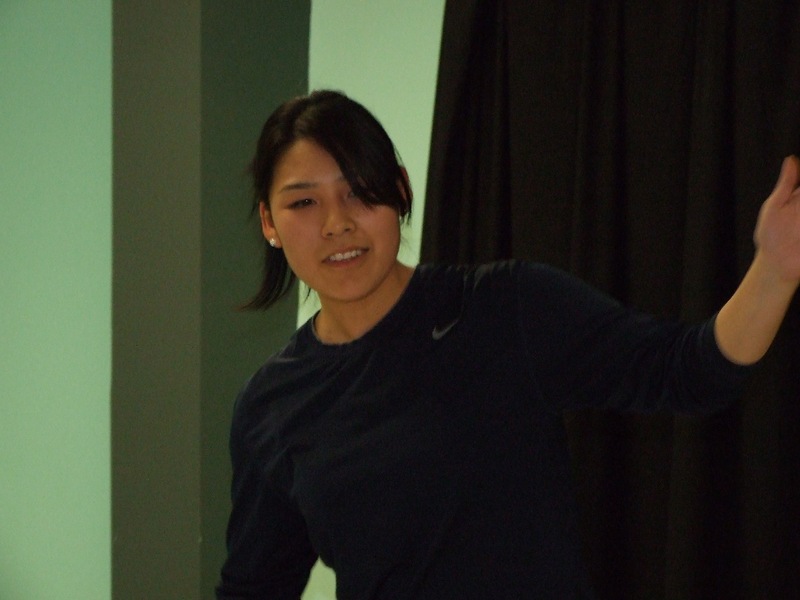 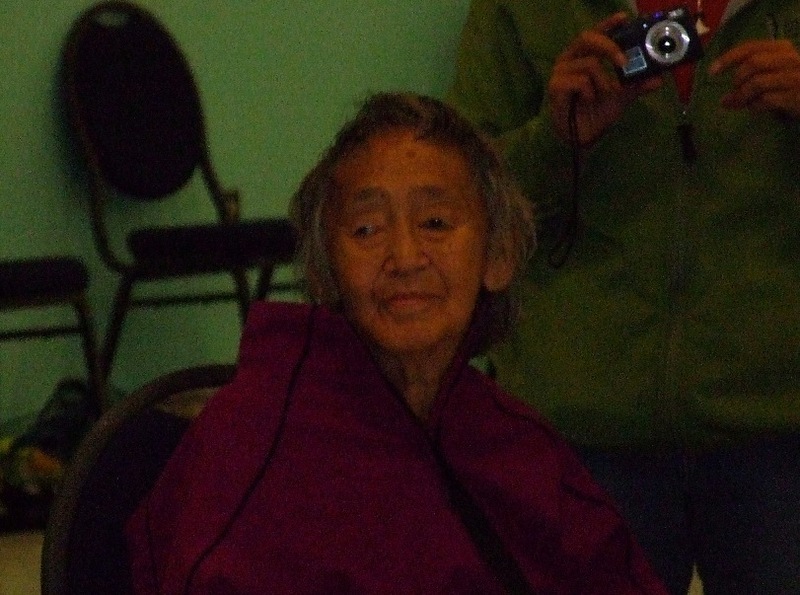 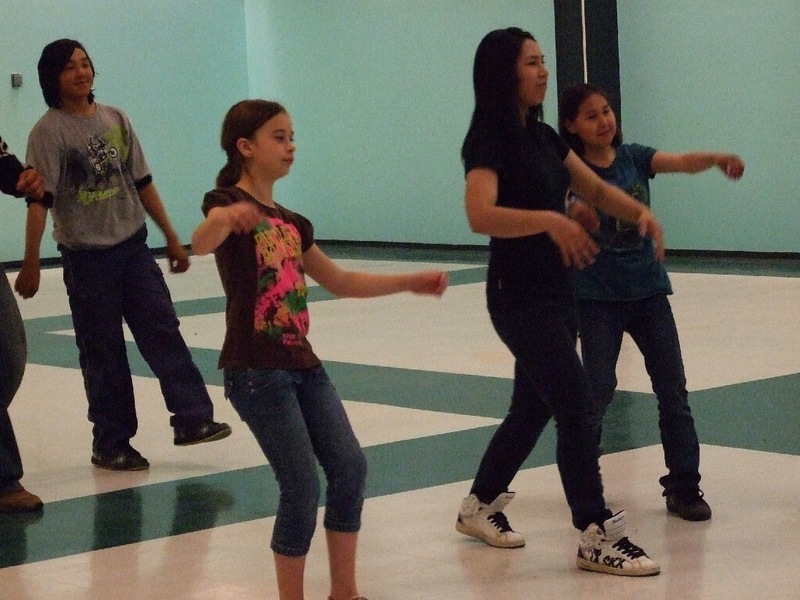 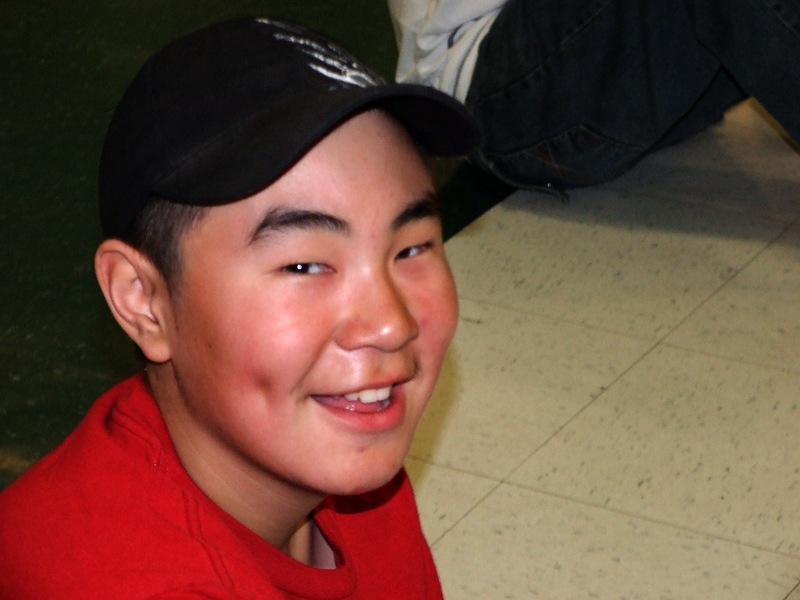 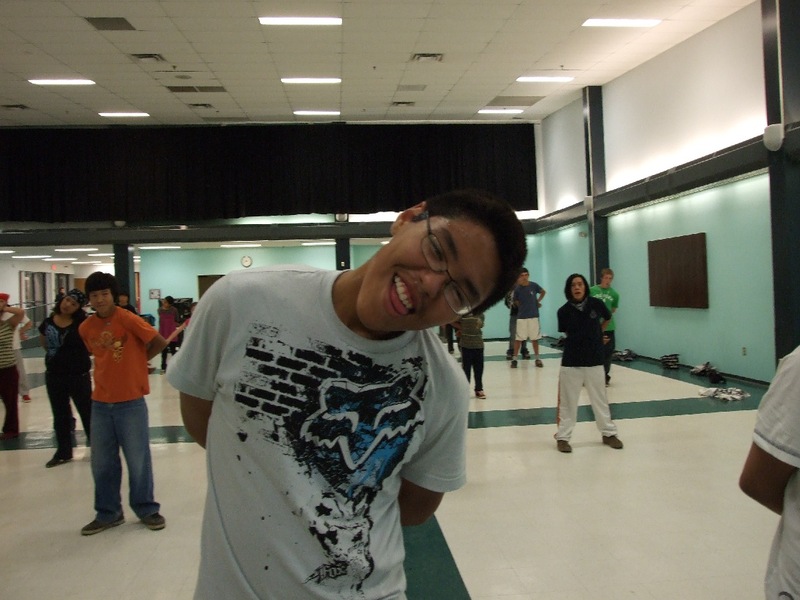 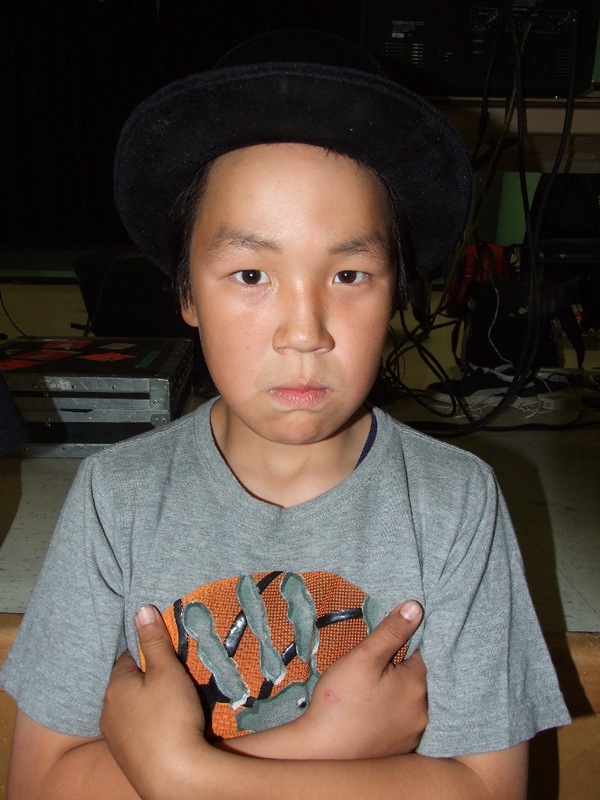 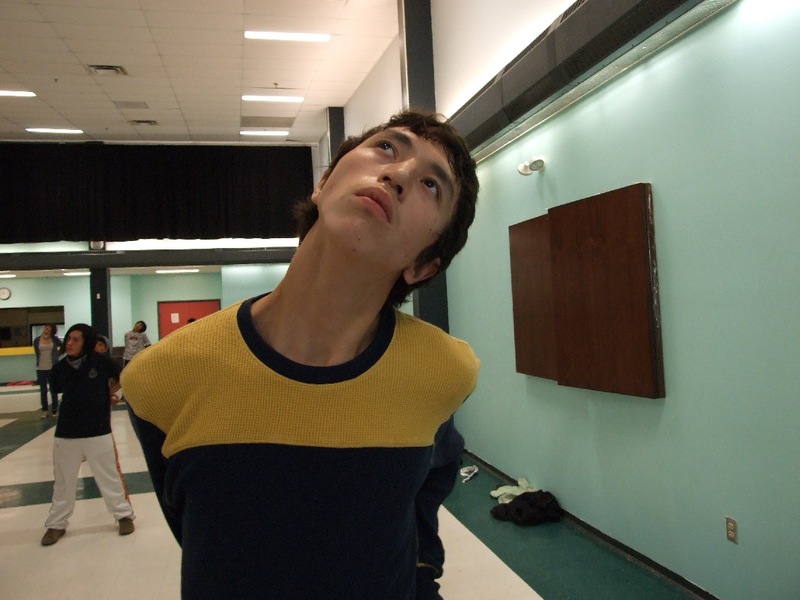 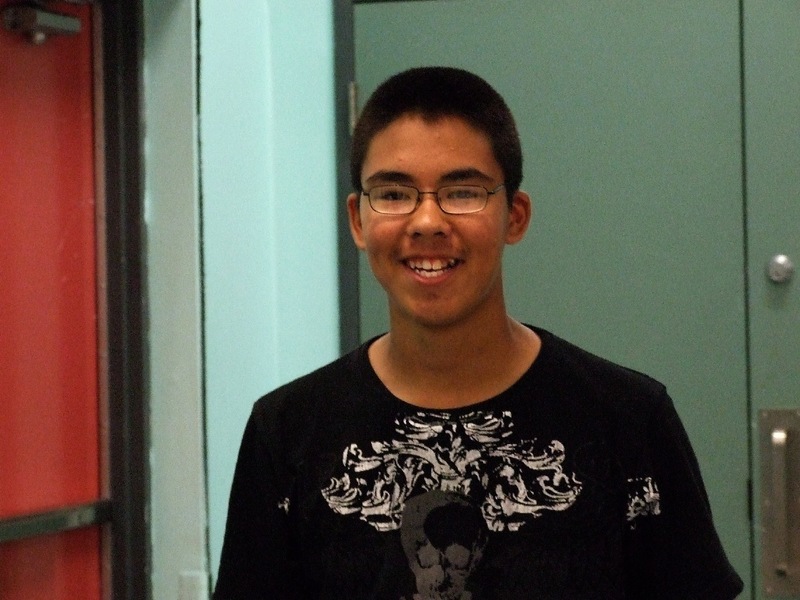 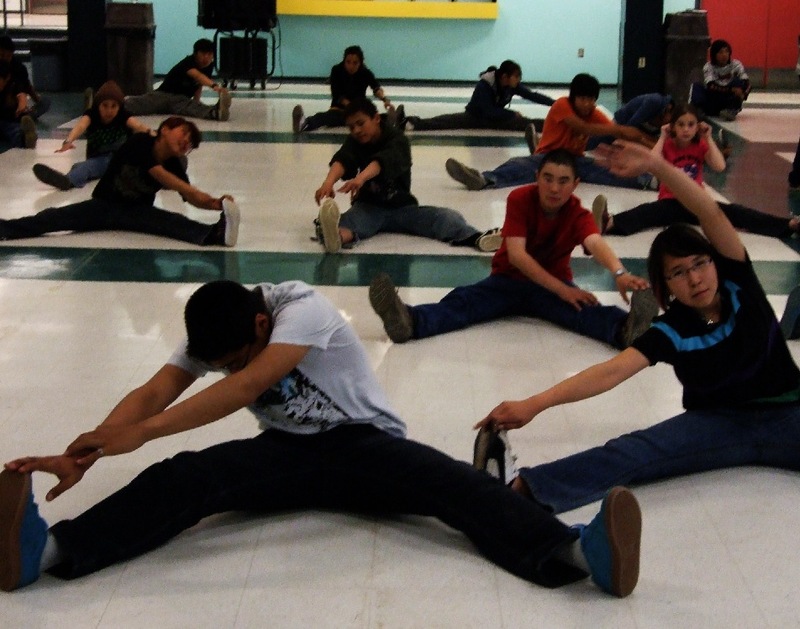 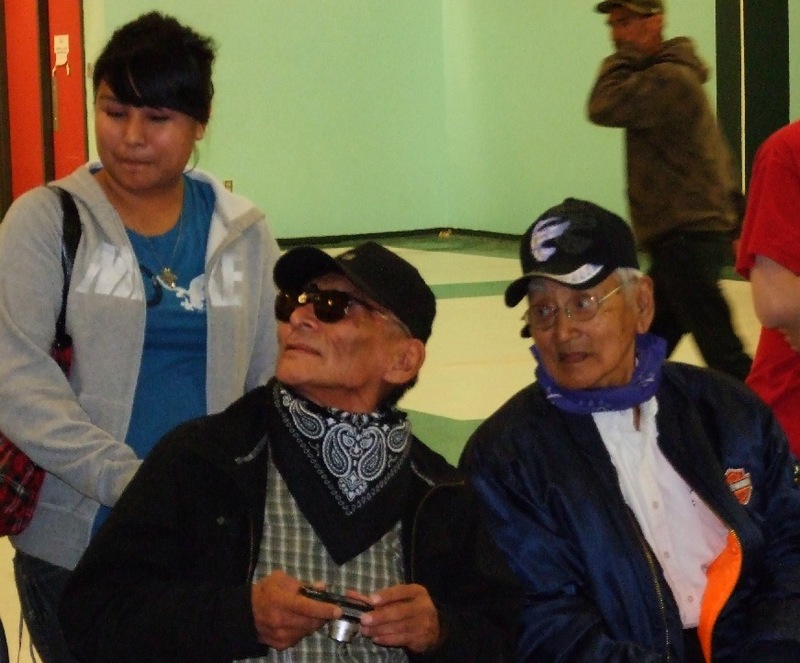 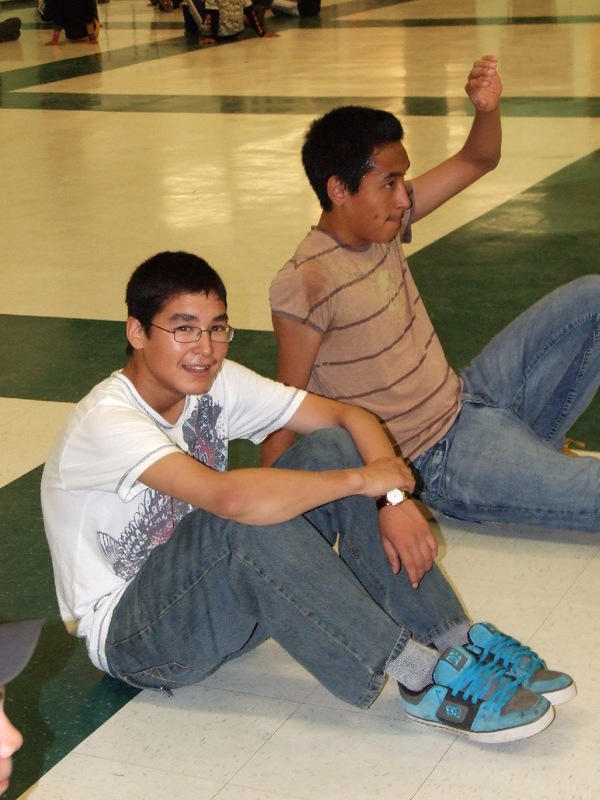 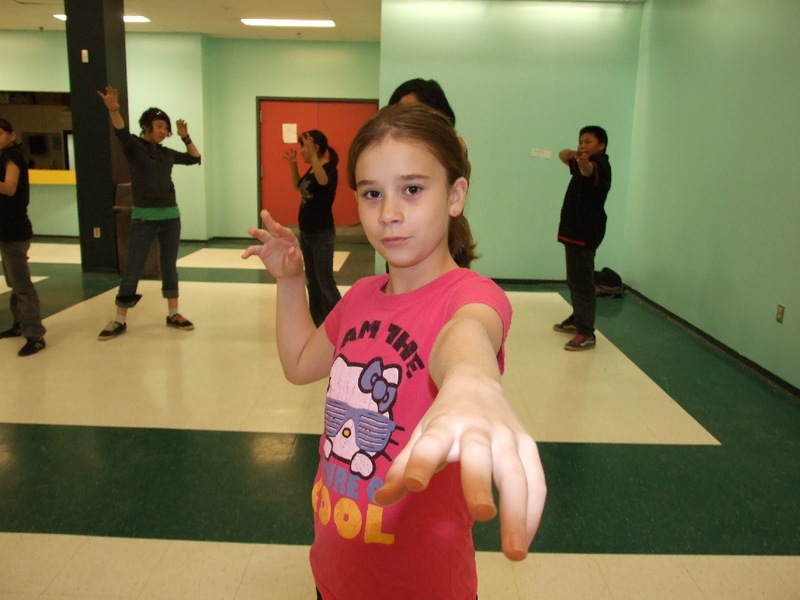 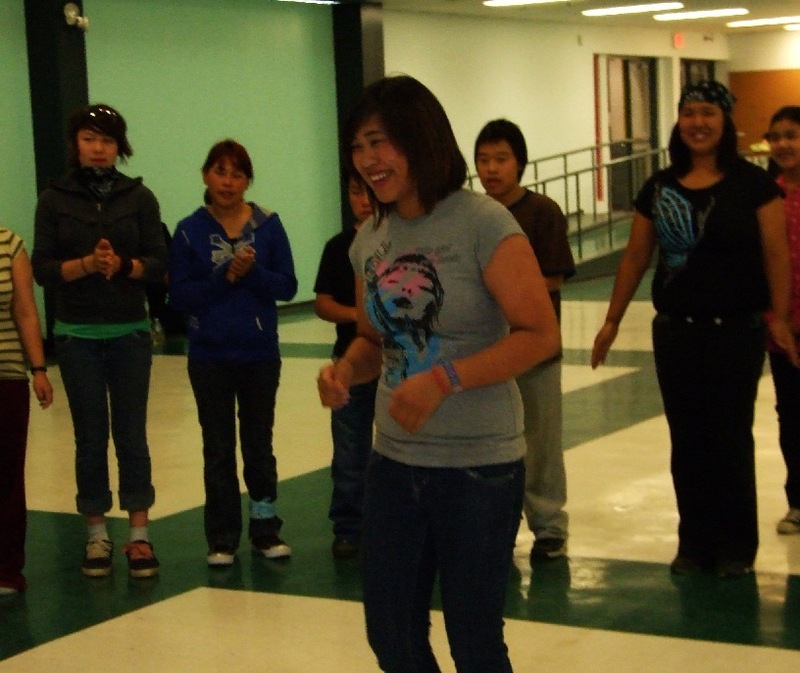 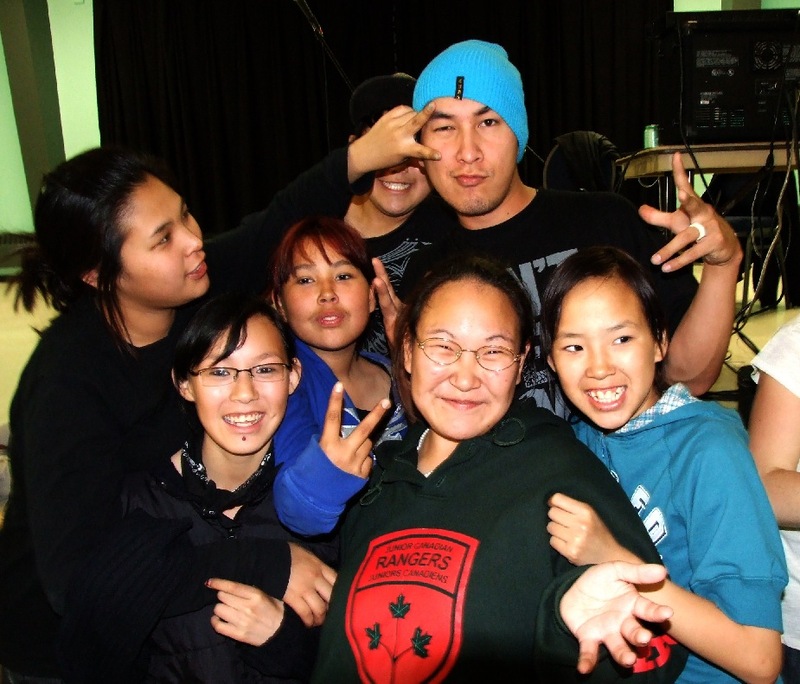 Most of the youth were Inuvialuit but some were Gwichin. 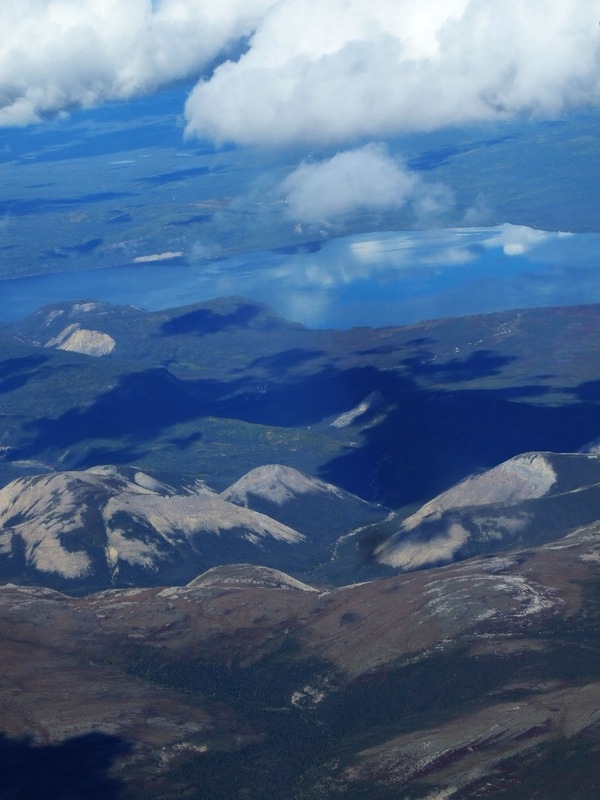 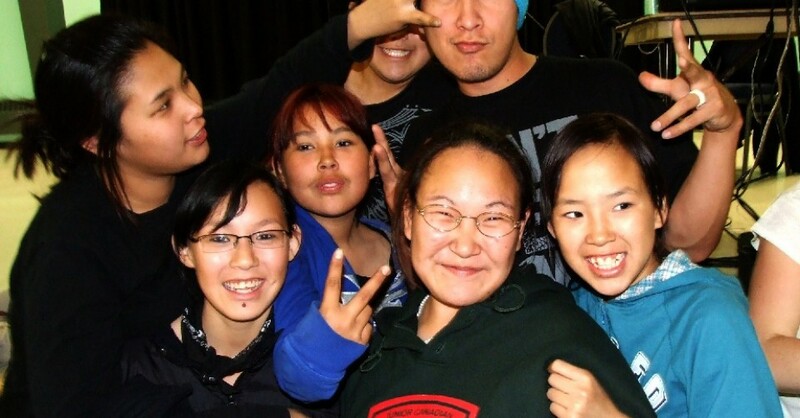 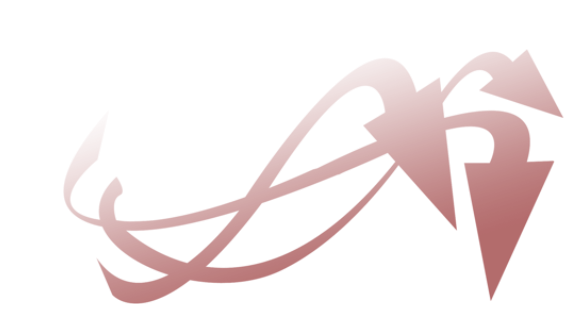 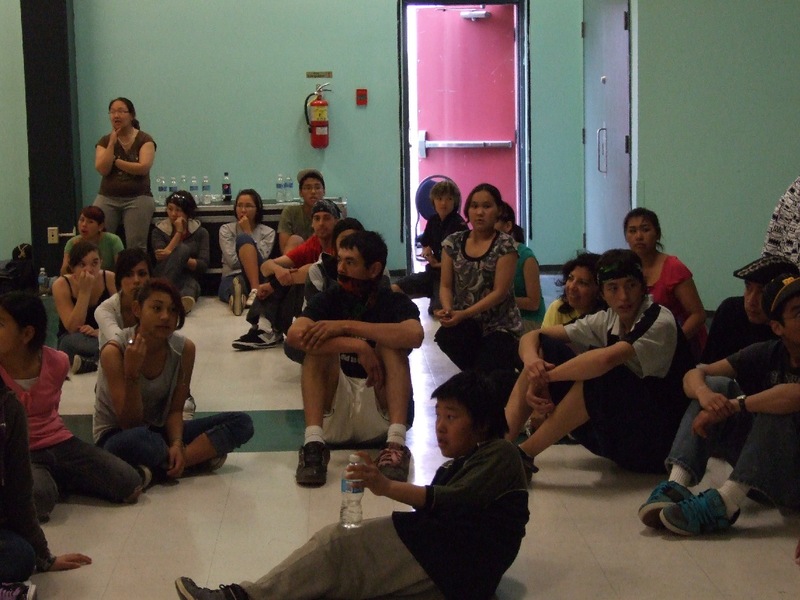 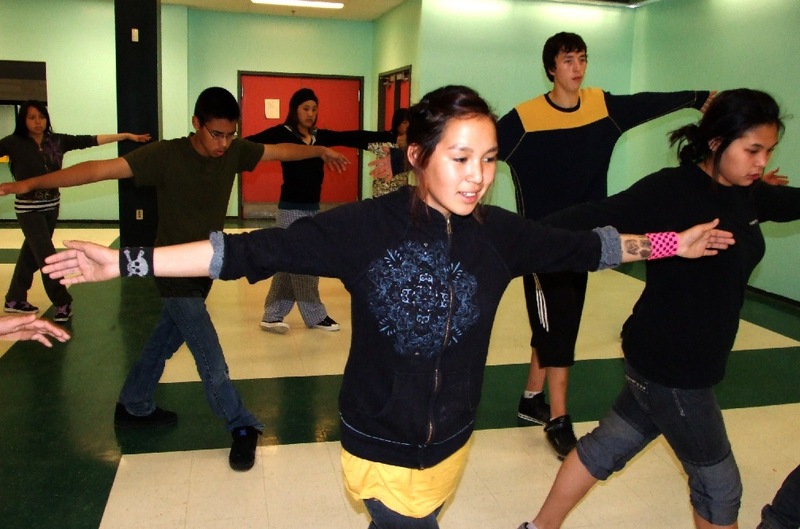 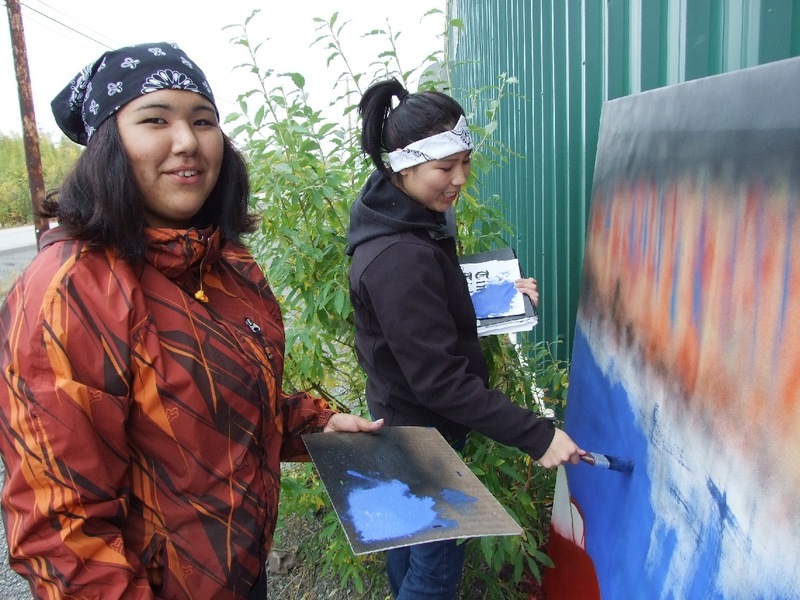 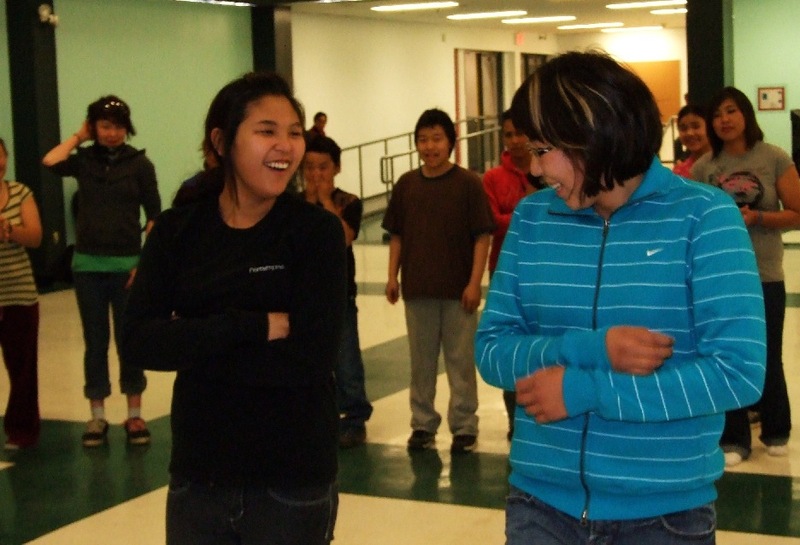 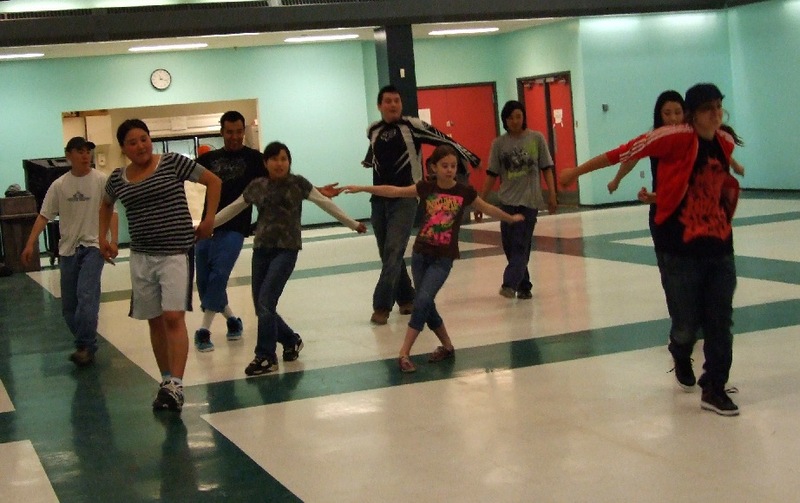 These youth came from Sachs Harbour, Holman, Inuvik, Paulatuk, and Tuktoyaktuk. 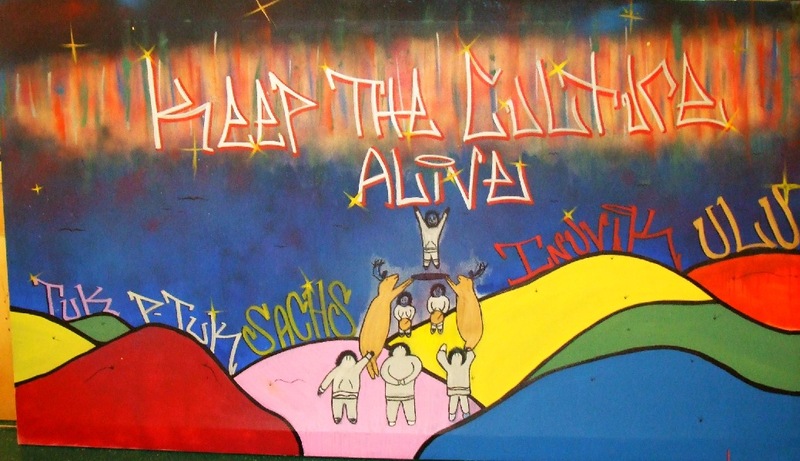 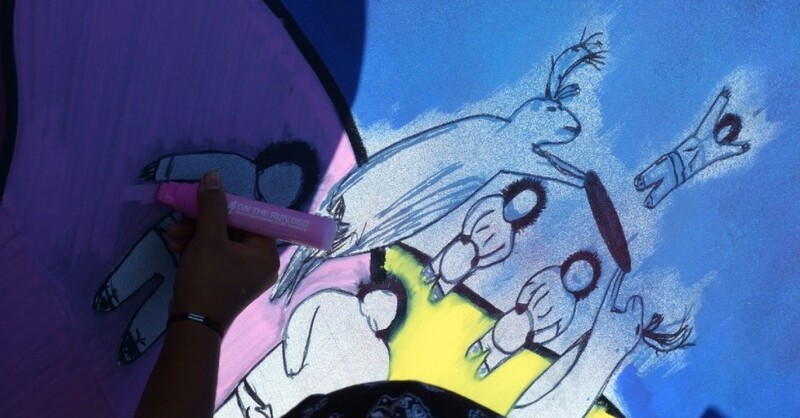 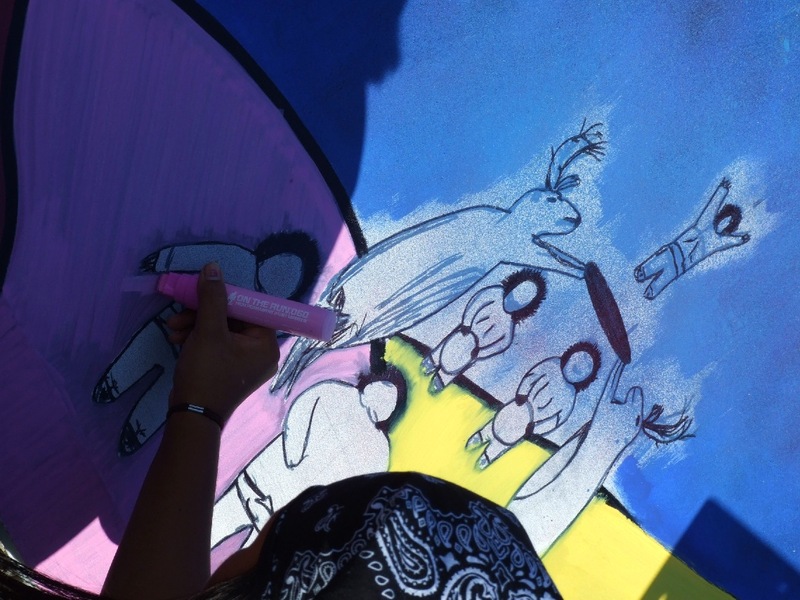 All these communities are represented on the artwork they created. 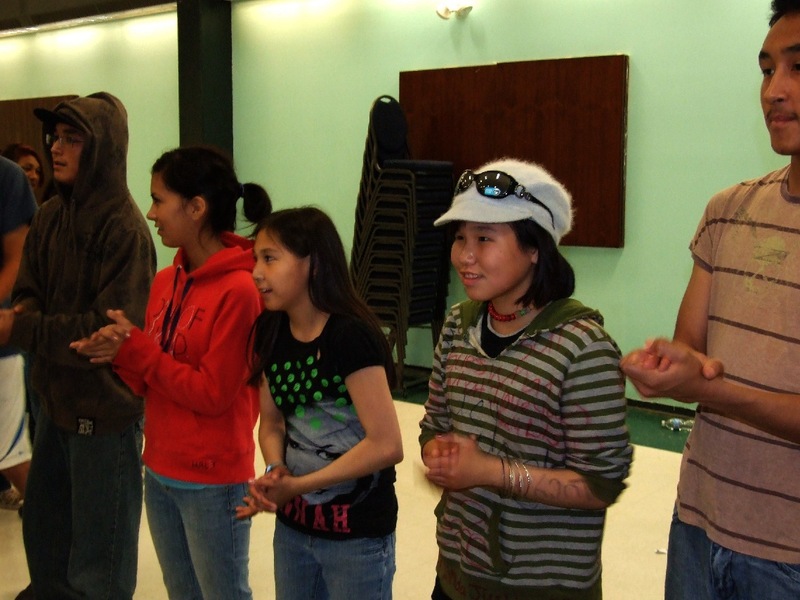 The youth taught us their drum dancing which is different than the eastern Arctic and we all participated in many different Inuit games. 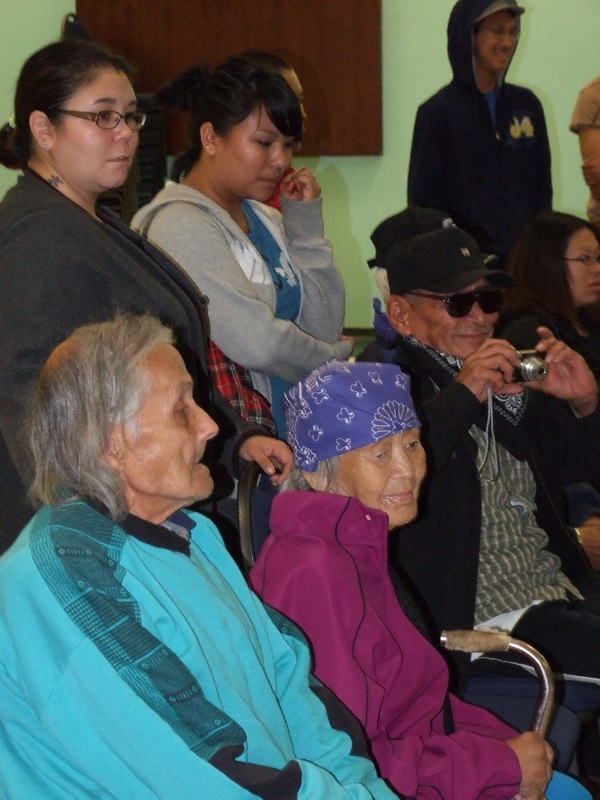 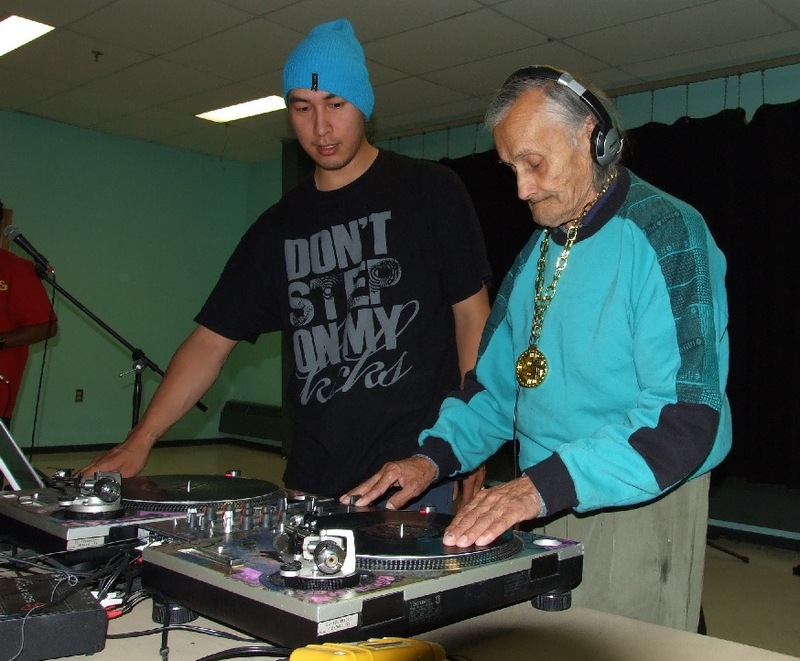 There was good participation from Elders and lots of community pride for the final showcase. 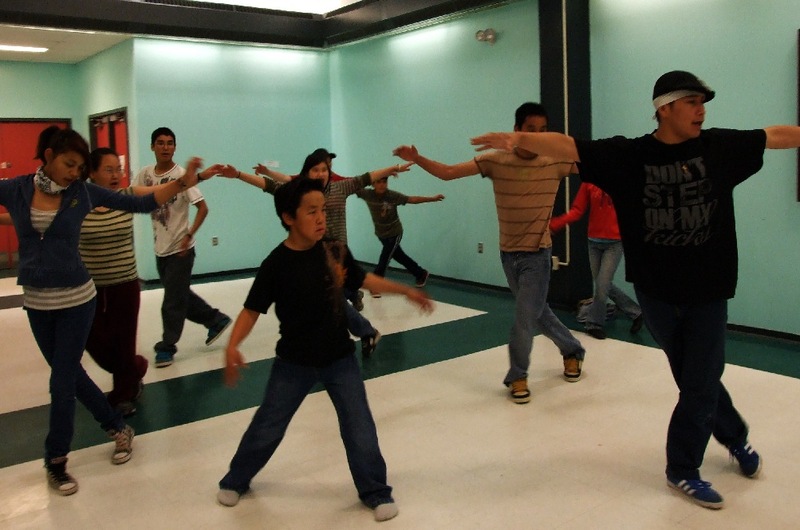 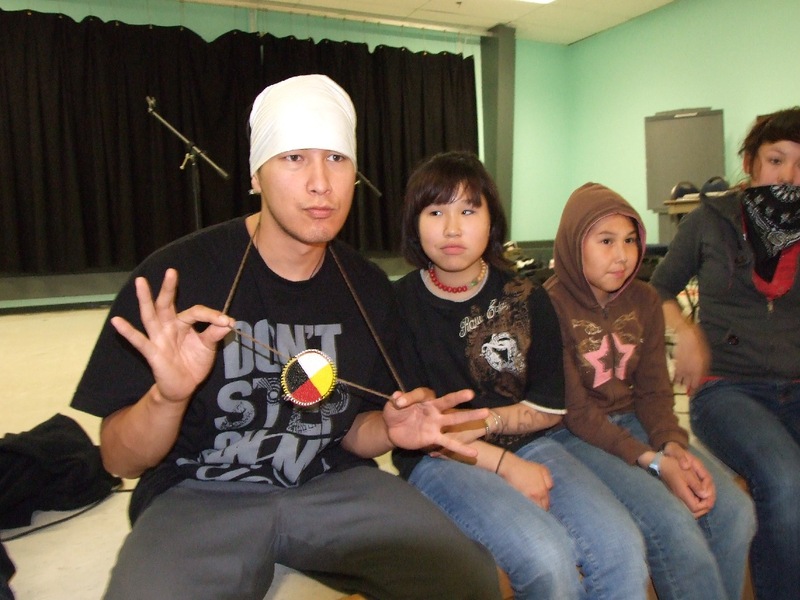 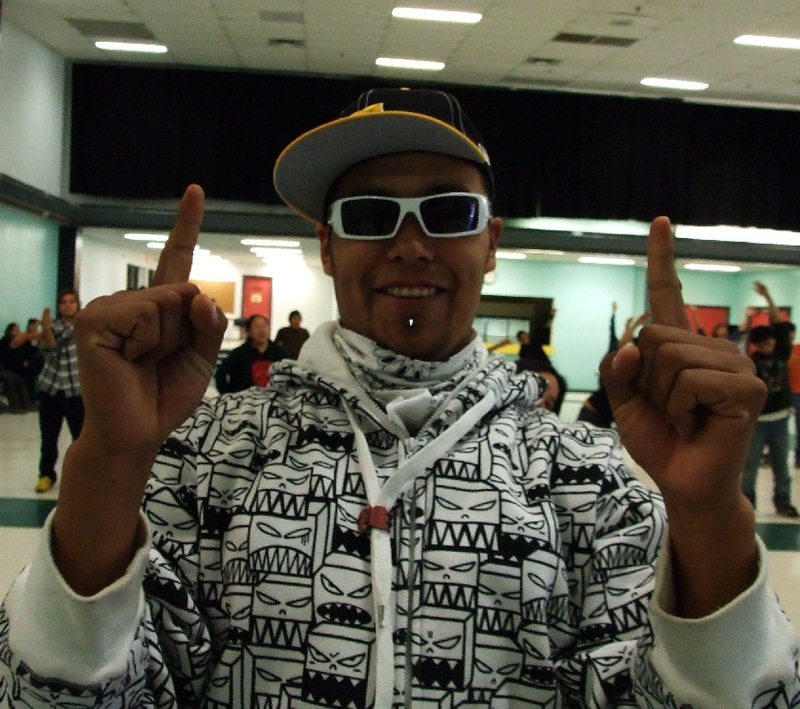 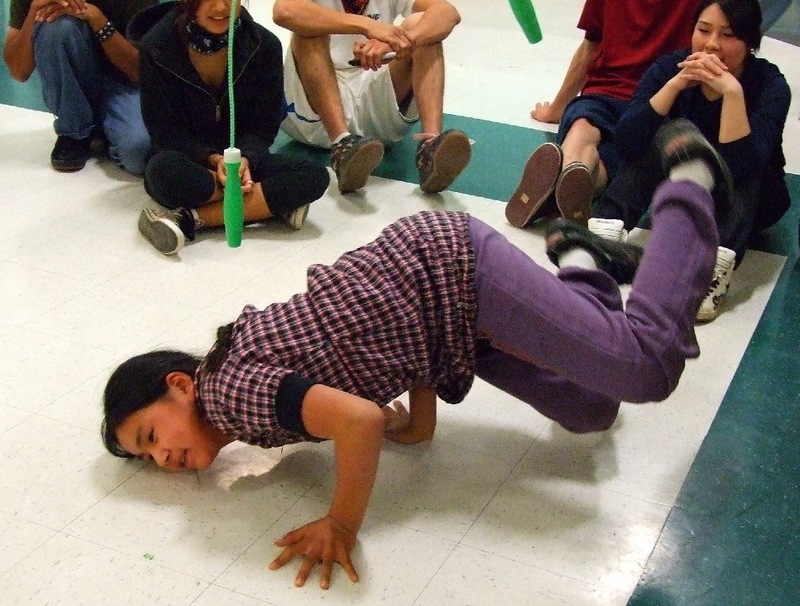 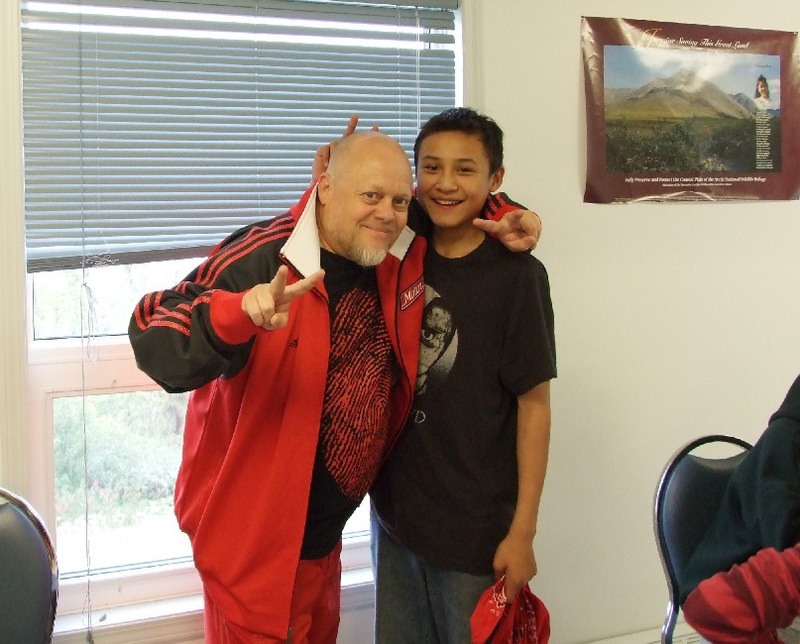 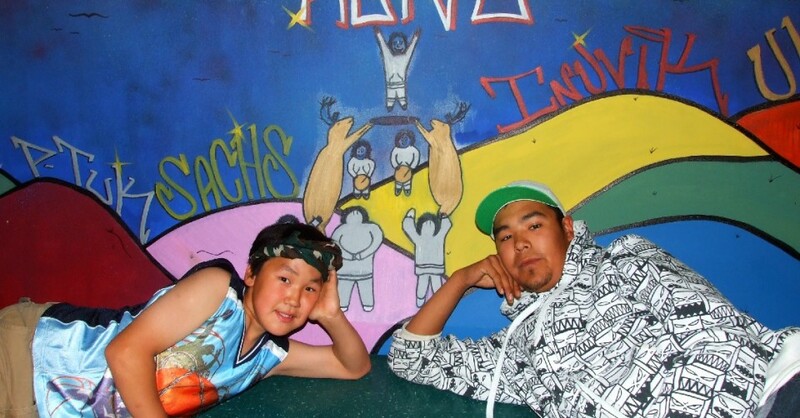 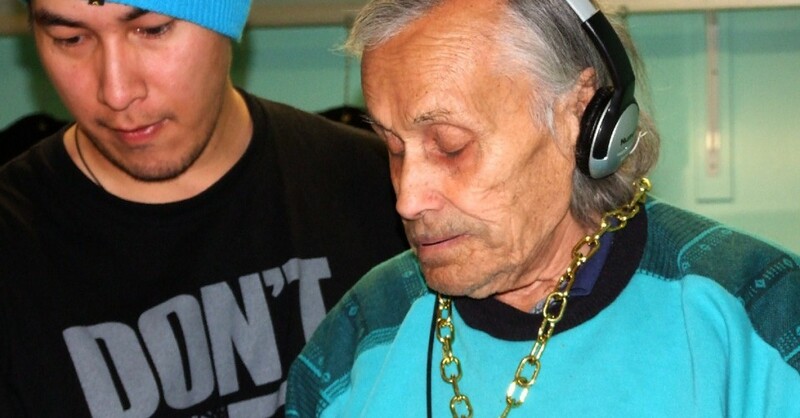 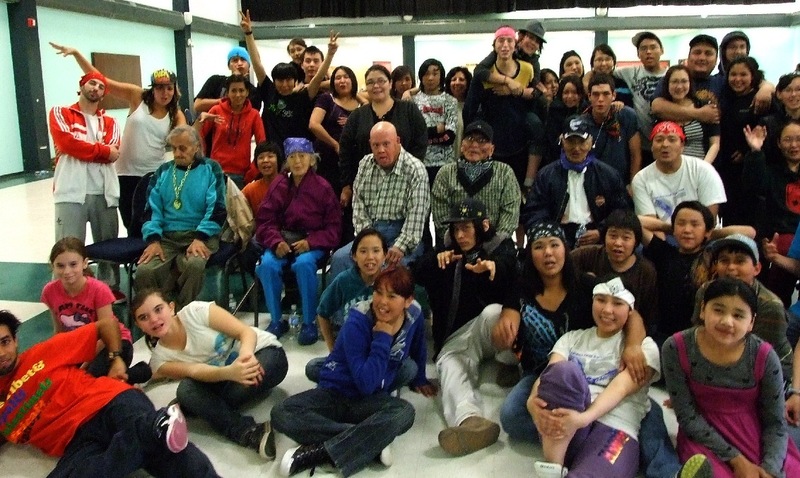 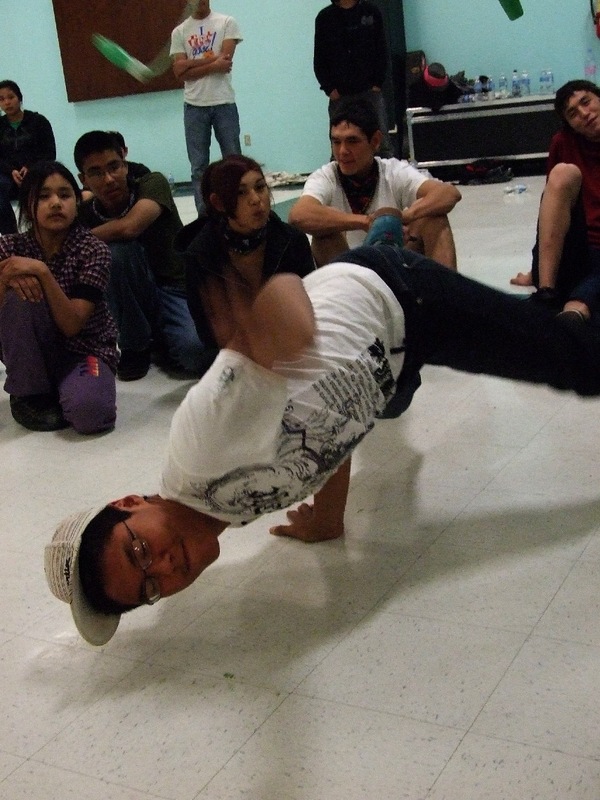 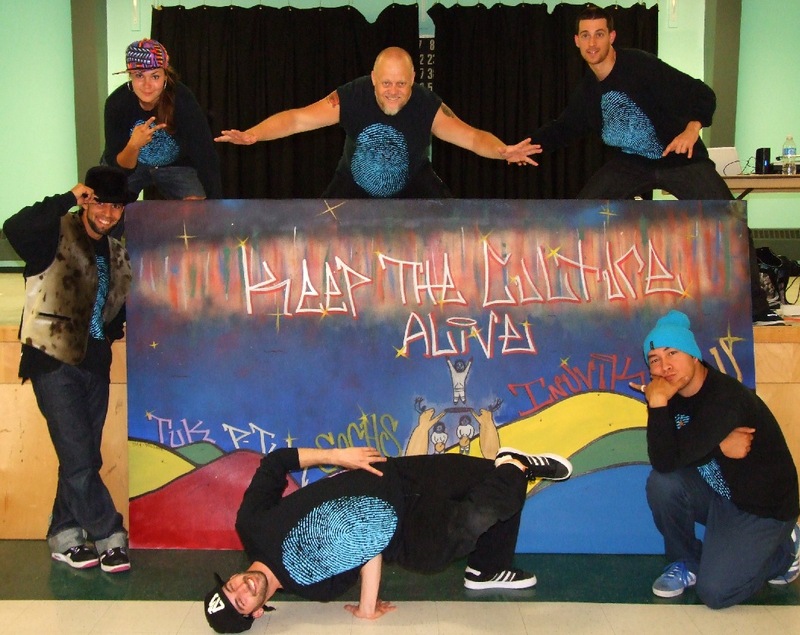 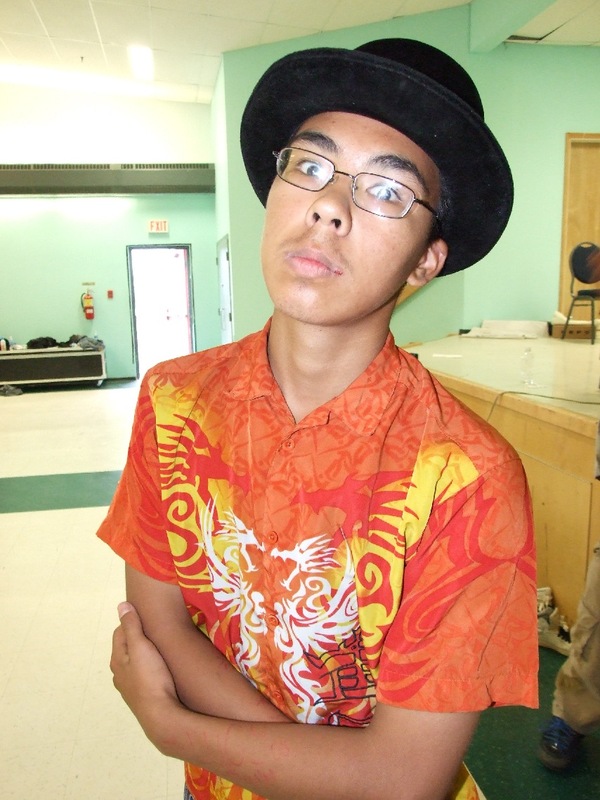 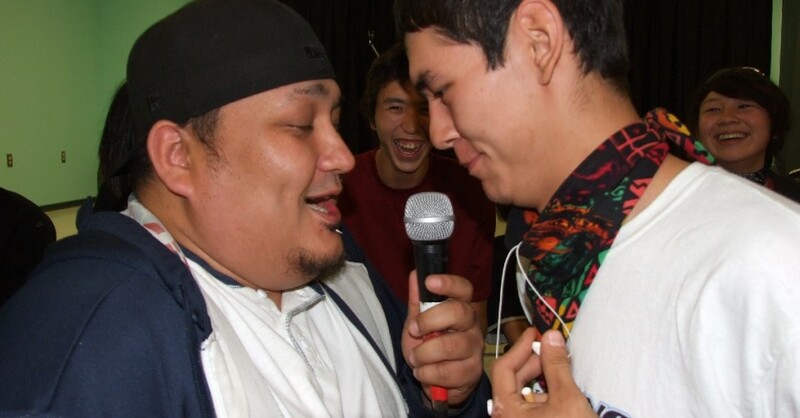 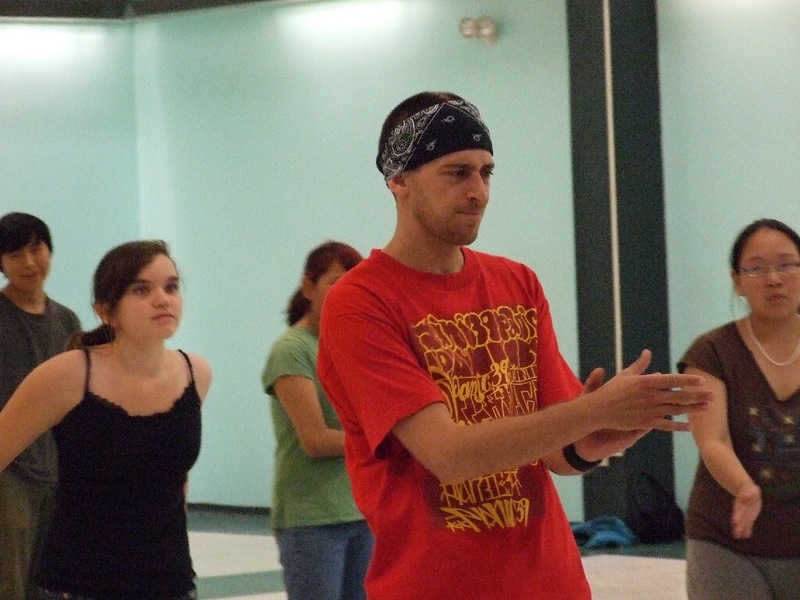 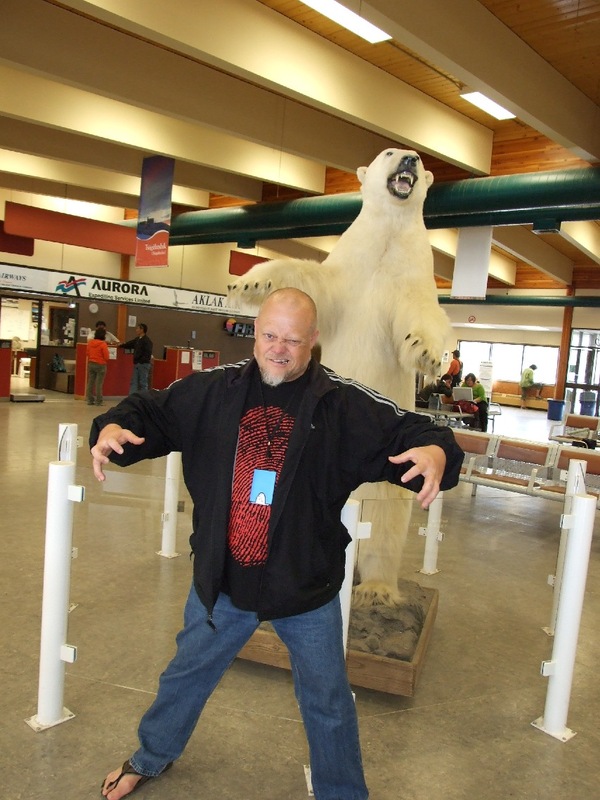 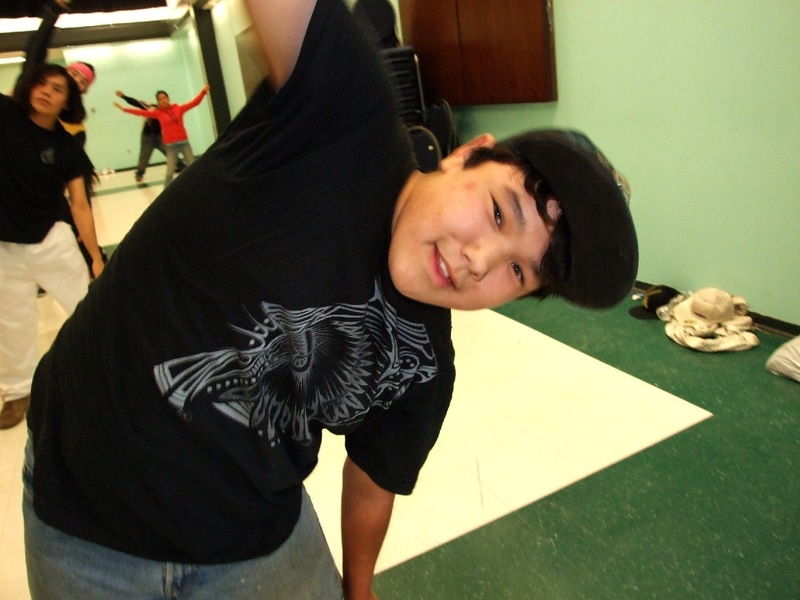 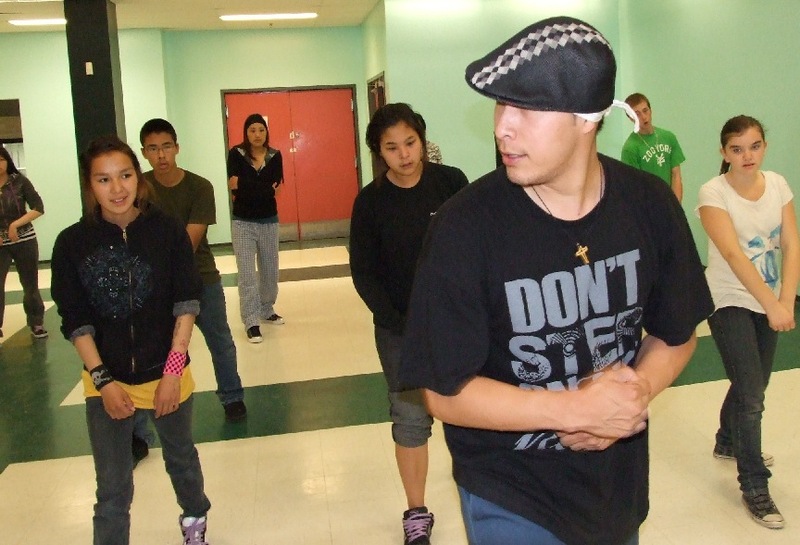 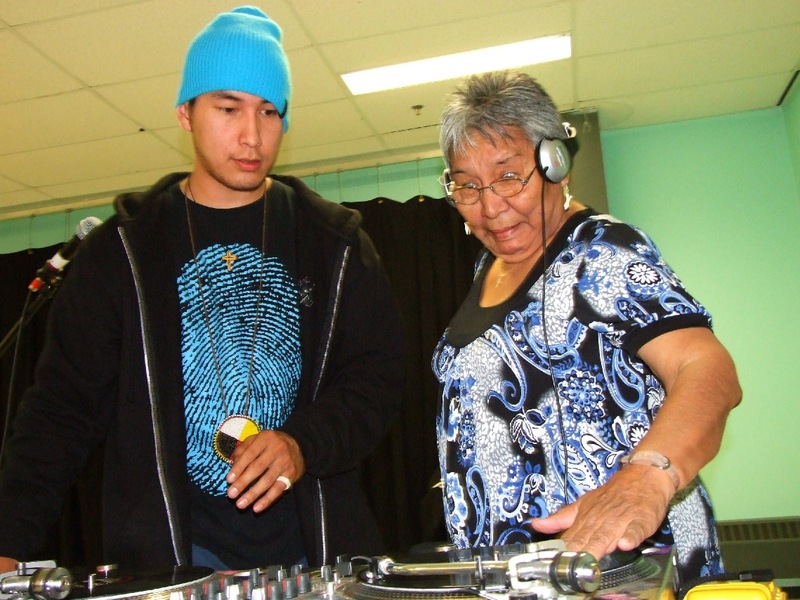 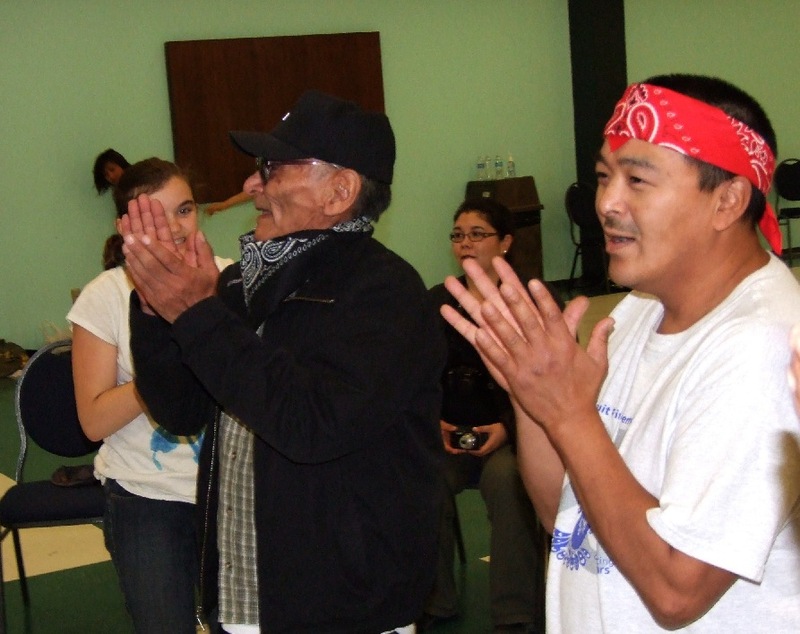 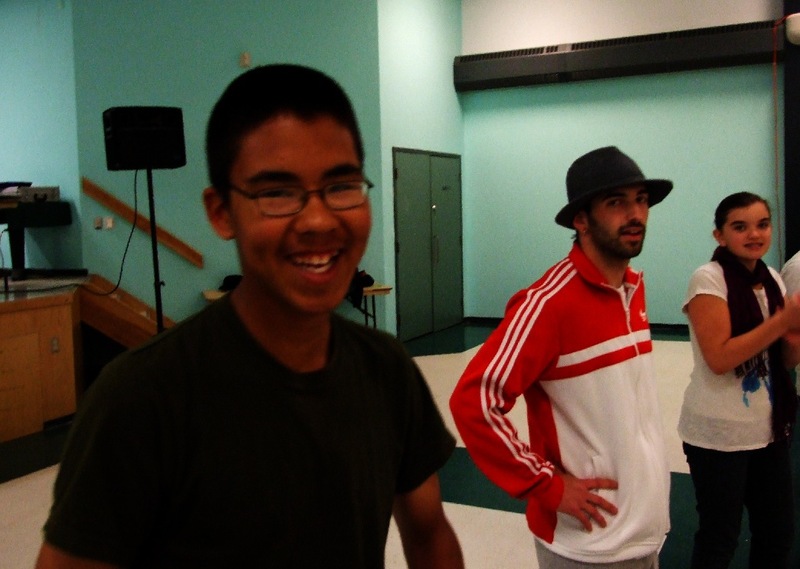 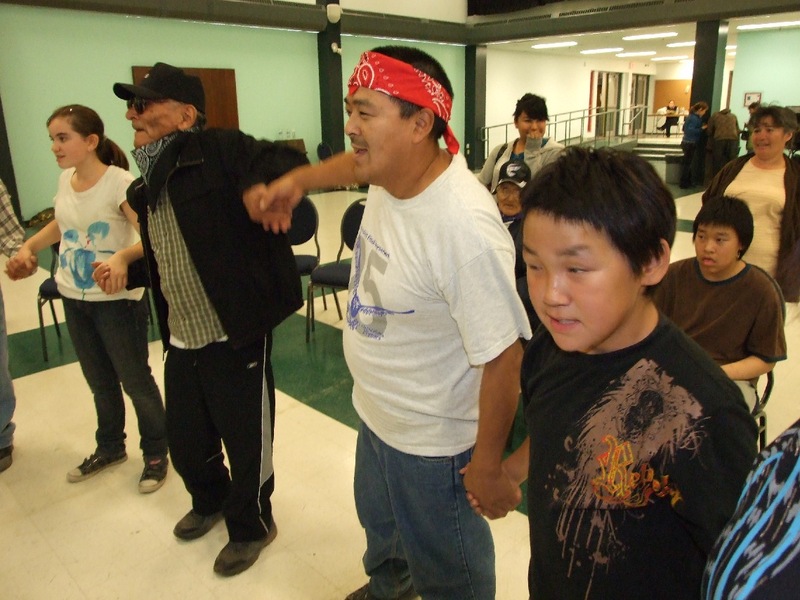 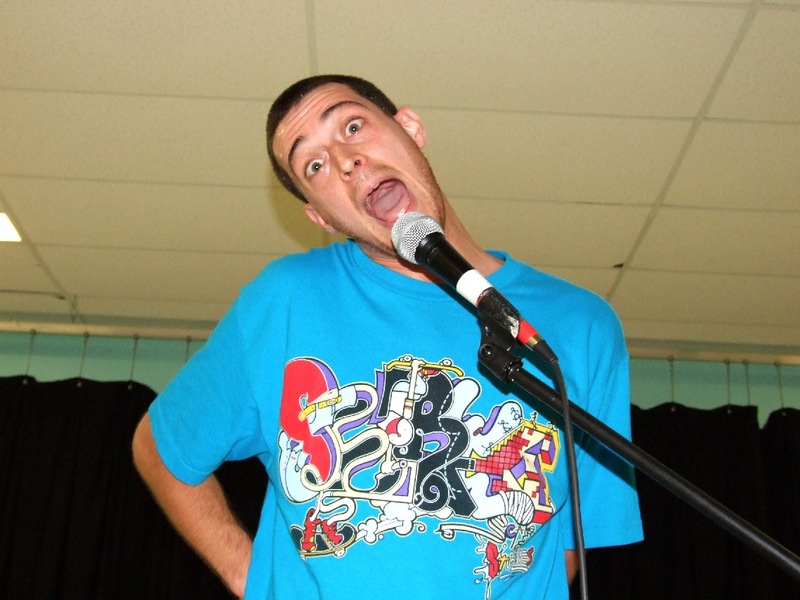 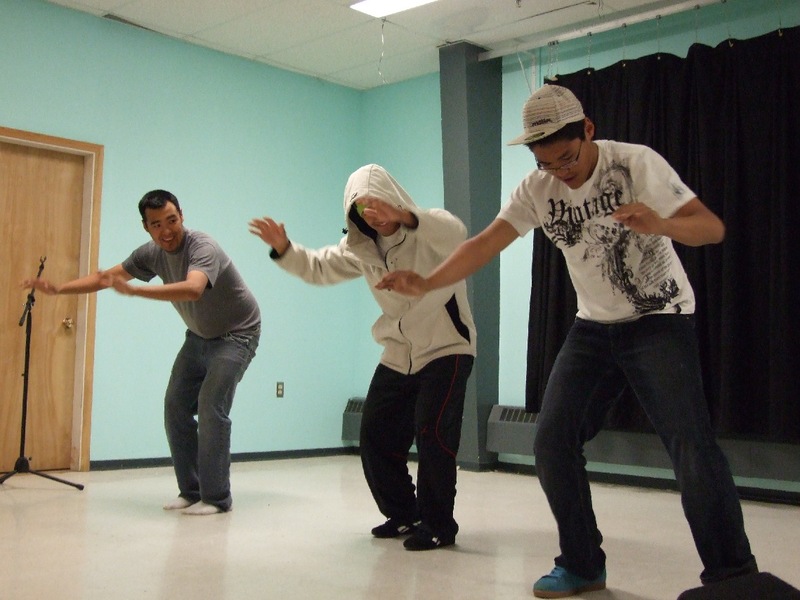 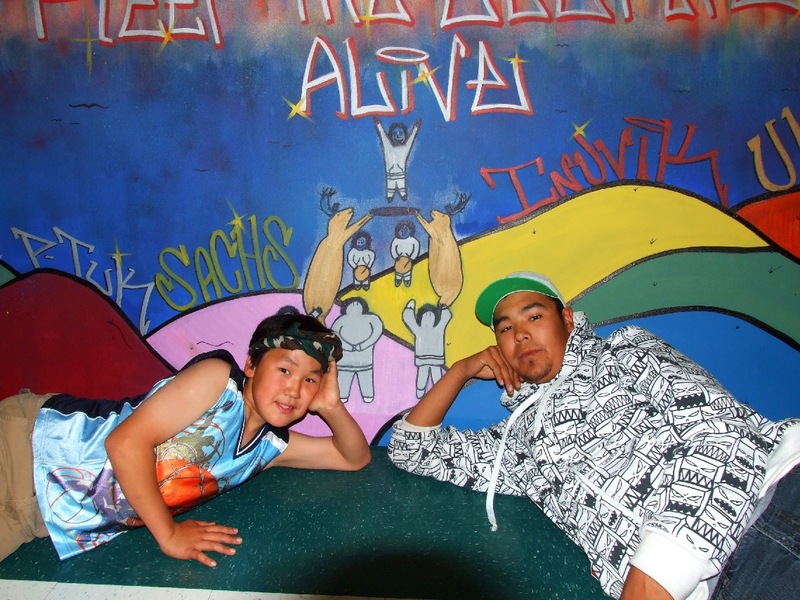 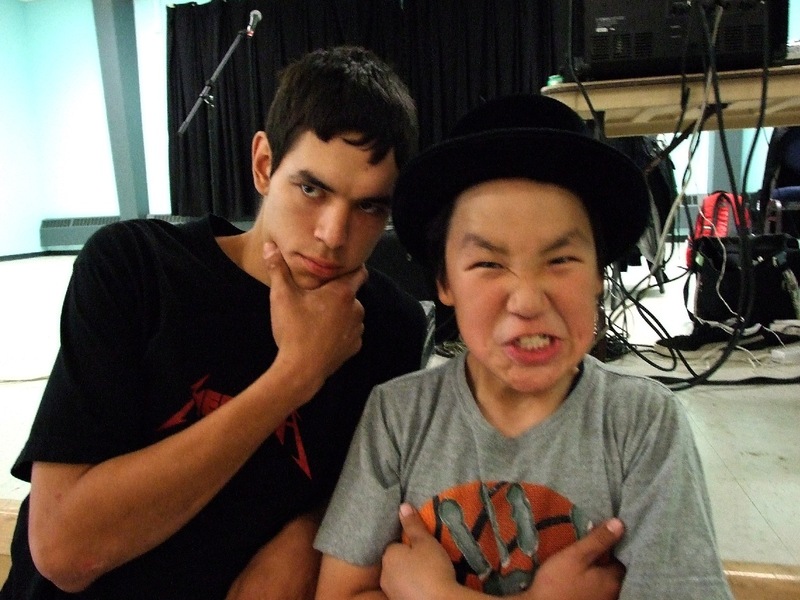 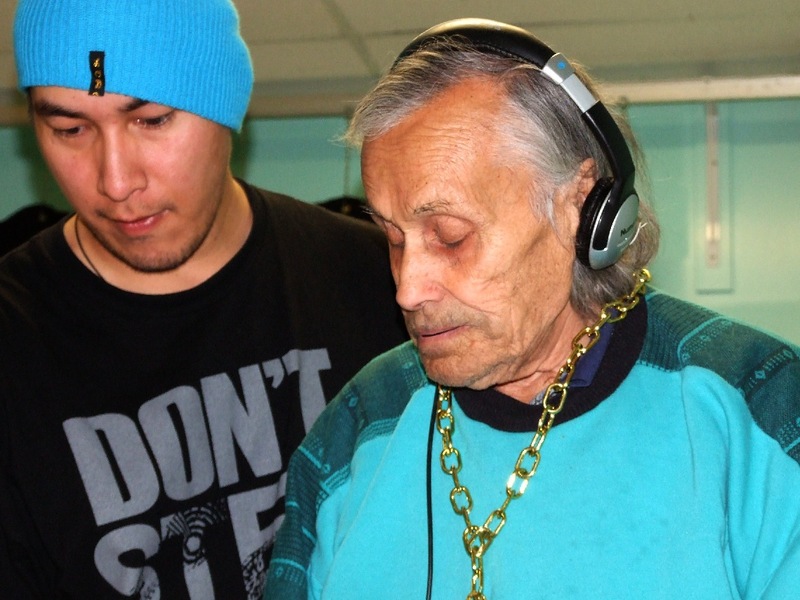 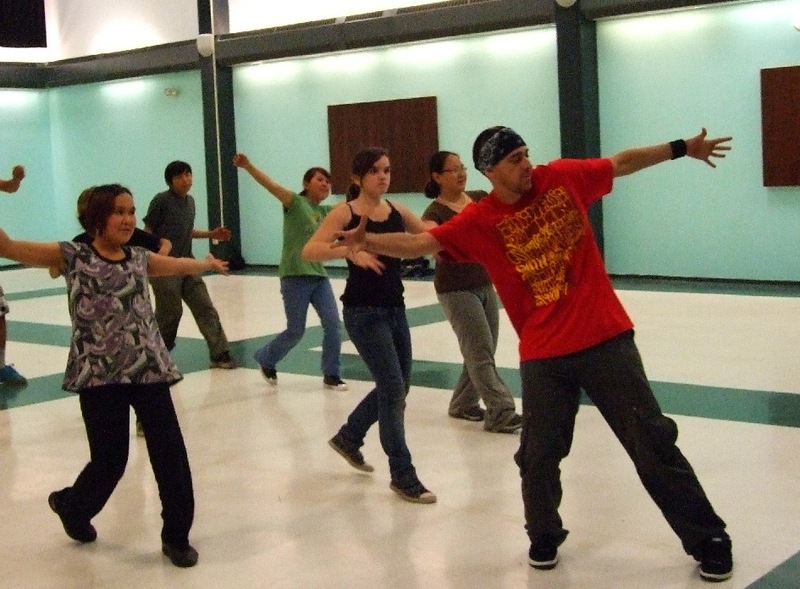 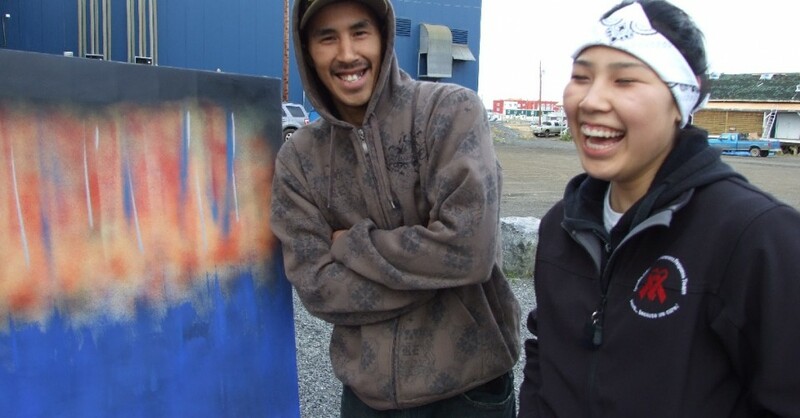 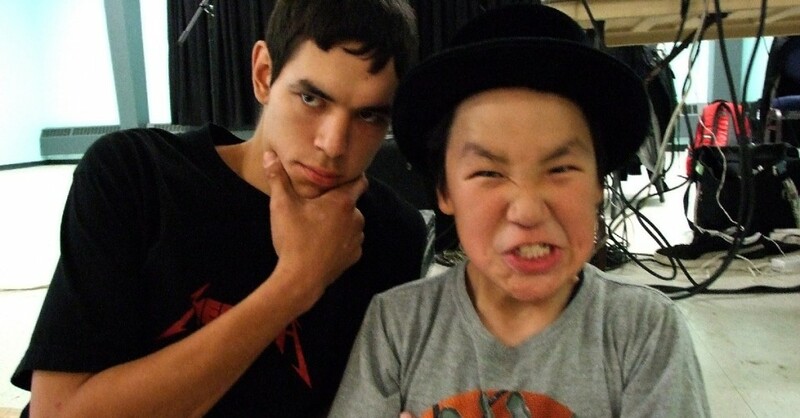 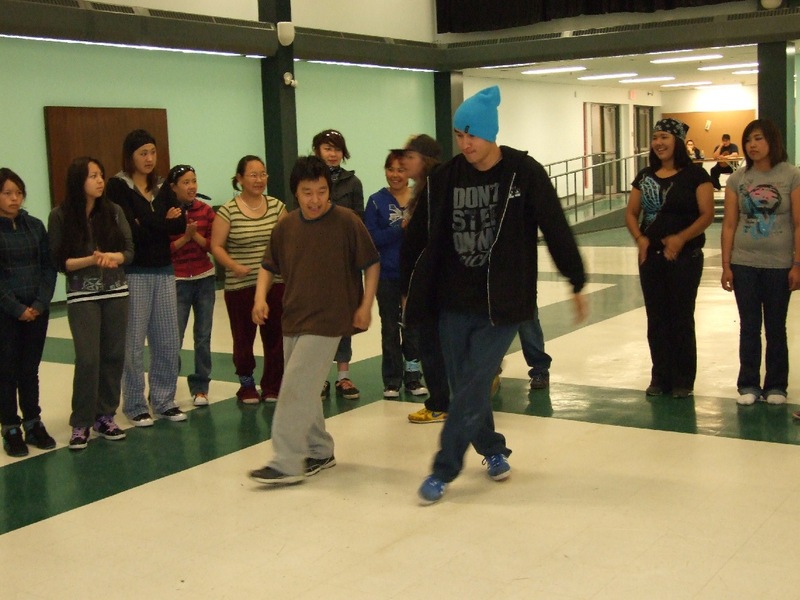 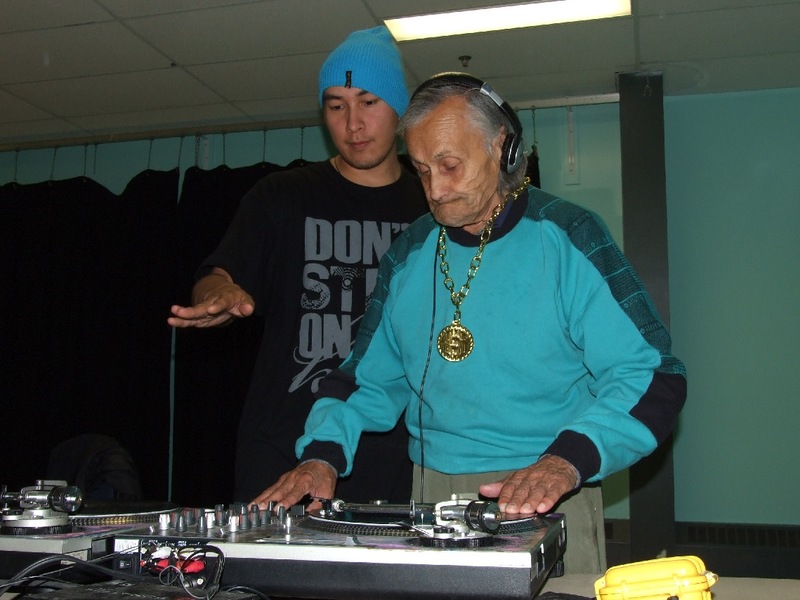 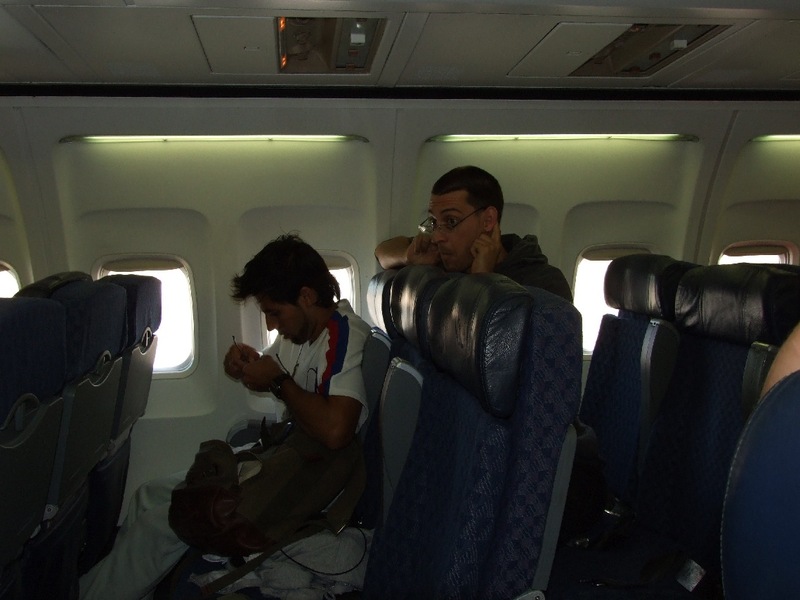 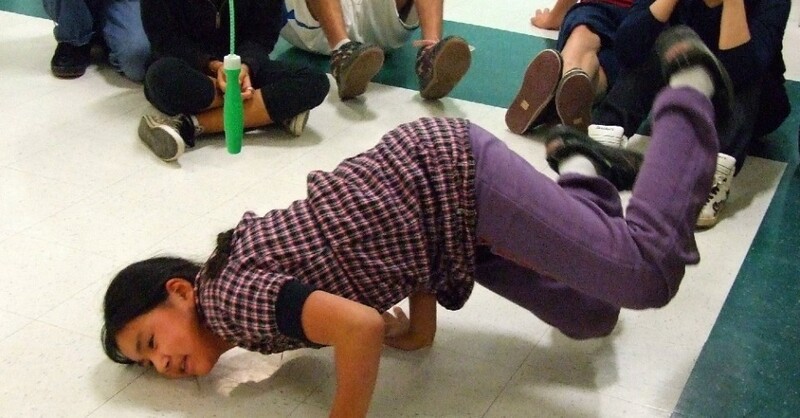 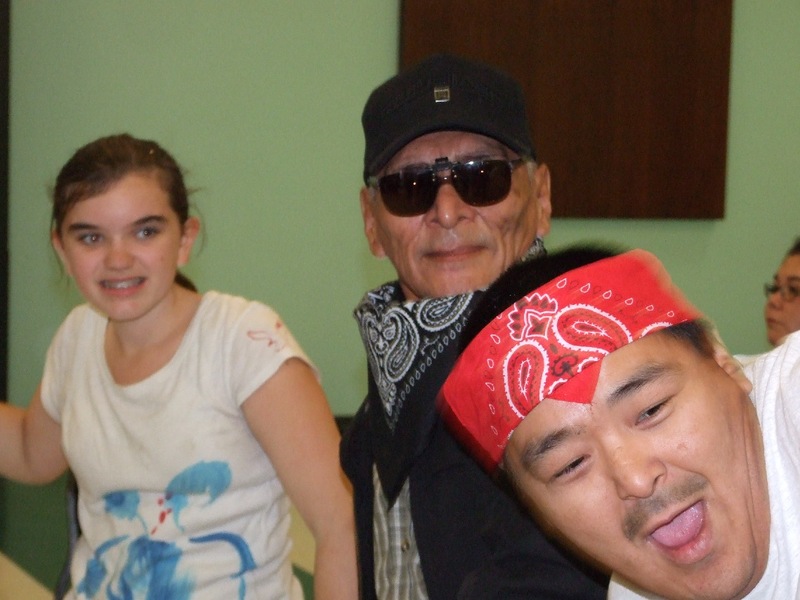 We even arranged for Jon and Bobby Amos to come to a Bboy event in Whitehorse a few years later. 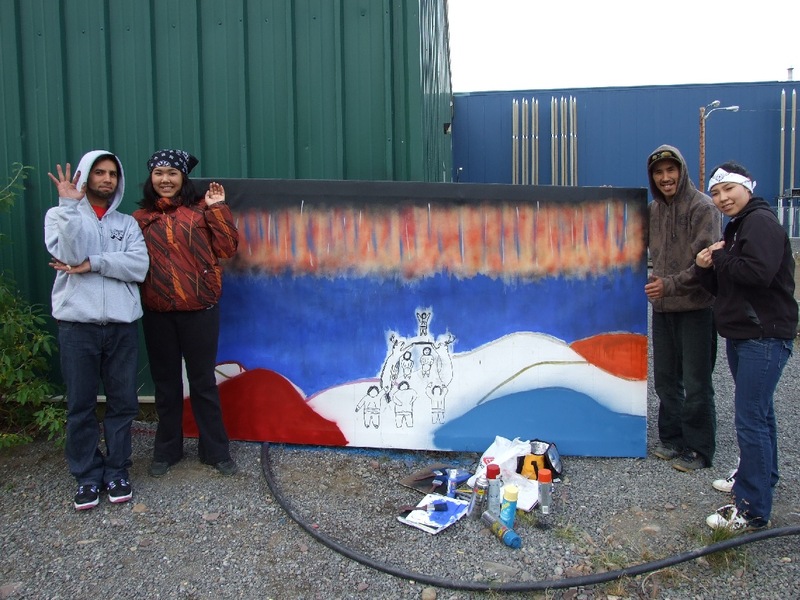 Midnight sun was beautiful -we would love to come back and perhaps bring our workshops to some of the smaller communities. 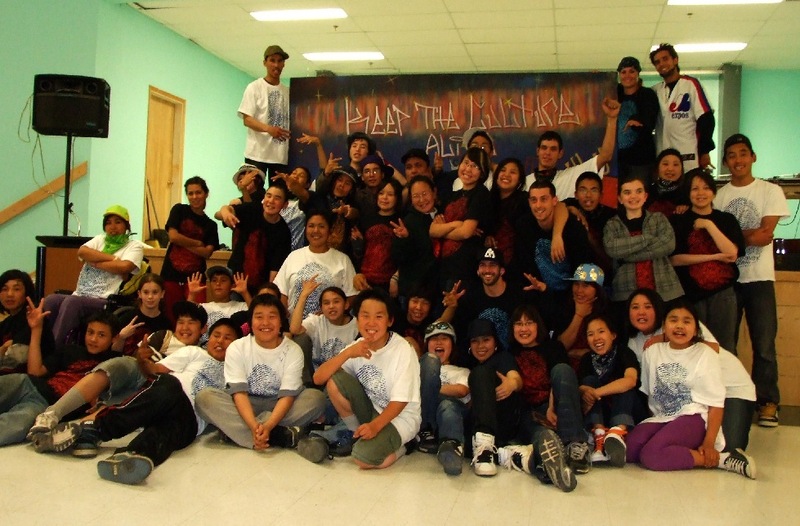 Thanks for having us !